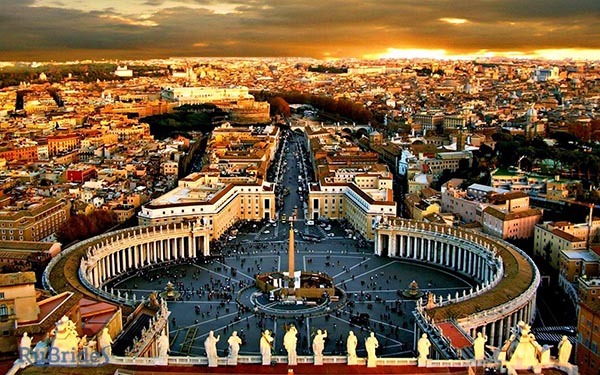 The first on the list is Rome, one of the most romantic European cities. 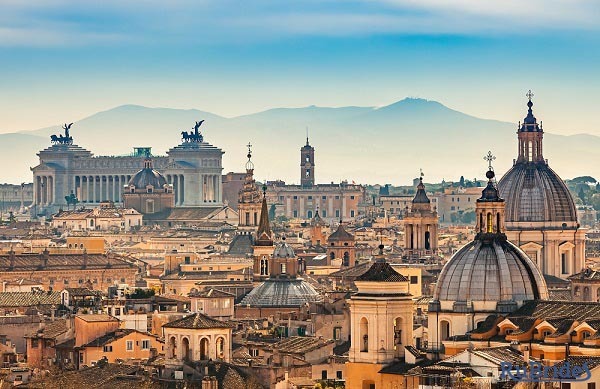 The eternal city has prepared the unforgettable experience for each loving pair, someone will want to just walk hand in hand through the streets seeing ancient history, admire the magnificent views of Rome from the park of Villa Pamphia. Others will want to observe all the rituals for lovers, including throwing coins into the Trevi Fountain, one of the most romantic places in Italy, and enjoy Roman holidays. To spend the Valentine’s Day in Rome is a wonderful idea, you can stay the night at the Romanico Palace Hotel, a favorite of tourists from different countries. 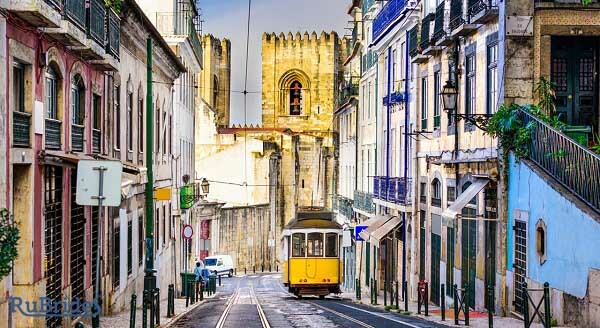 The second city is a frequent member of most romantic cities in Europe lists, and it’s, of course, Lisbon. The port city has always been prone to adventurism, from here fearless medieval merchants set out for great voyages, here appeared the first curiosities, spices and, finally, chocolate! Lisbon confectioneries are a delight of soul and body, favorite cakes Pasteish de Belem will bring heavenly gourmands to the heaven’s paradise. Also, the connoisseurs of the Gothic style in architecture will rejoice at the sight of: majestic cathedrals, medieval monasteries, museums - there is definitely something to see! You can stop at any of the hotels of this hospitable city, such as Tivoli Lisboa, which is on the main street of Lisbon, Avenida Liberalda. 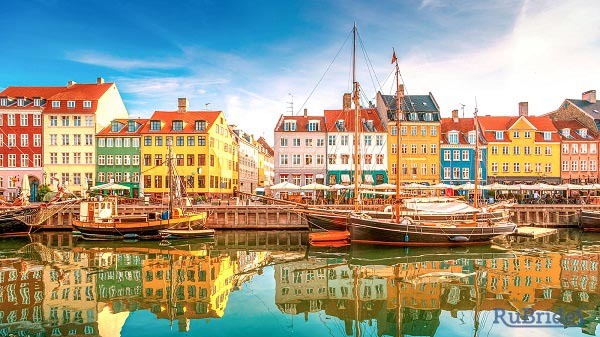 The World Records of Happiness of 2013 recognized Copenhagen as the happiest city in the world, but not the cheapest, which the Danes are not very worried about. They enjoy a fabulous love sitting in La Glace, a confectionery where the great Andersen liked to go. 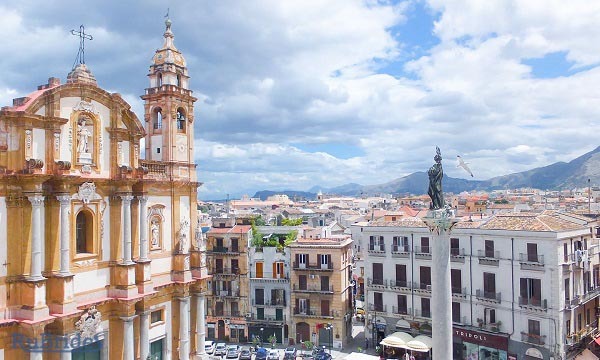 It is truly one of the greatest unexplored romantic cities in Europe. On the roof of the Lookout Tower from the fairy tale, you can sit on the "bench for kissing." And if you ride a boat along the channels of Christianshavn, you can get to Christiania, the city of hippies and get the atmosphere of this nirvana of love. The city provides a chance to find or permanently lose your better half. Wandering the cobweb of the streets of the Gothic quarter, if desired, you can easily get lost. And to have fun in countless restaurants and cafes, you can visit vintage shops separately. But if there is a desire to consolidate deep feelings, then it is possible to do it on the street of kisses Carrer dels Petons. They say that it was here that the wives sent their last farewell kisses to those condemned to death. This is truly one of the most romantic cities in Spain. Romantic holidays in the absence of an influx of tourists for Valentine's Day is promised by a peaceful country of Italy. Five villages: Cornille, Vernazza, Manarola, Riomaggiore and Monterosso form the Cinque Terre of Mediterranean Liguria. Beautiful views and cuisine full of aphrodisiacs will do their job, turning the weekend into a magical time of passion in the Italian outback. 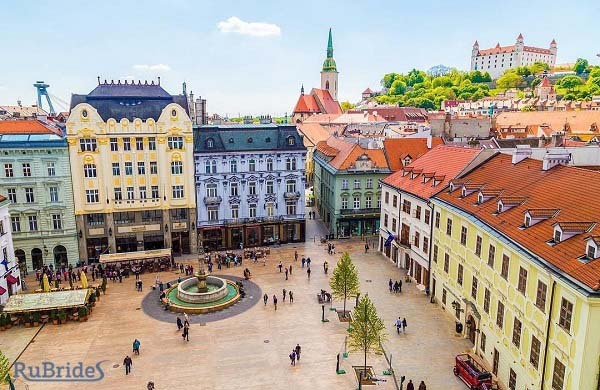 Kosice is one of the largest cities in Slovakia (and to be more precise, the second largest city after the capital Bratislava) with a population of just over 240 thousand people. We'll say it right away: you shouldn’t expect something supernatural. Though, it is perhaps the best city to begin your acquaintance with Europe. The most interesting thing in Kosice is the Old Center. Here you cannot follow a specific guidebook, but you can just leisurely stroll, visiting the wonderful architecture. One of the city's outstanding landmarks is the singing fountain, which is located near the state opera house. Walking along the main street (by the way, it is called - Home), you will admire the beauty of the cathedral of St. Elizabeth, built in the 15th century in the Gothic style. And next to it is a small church of St. Michael, which until 2006 was the chapel of St. Elizabeth's Cathedral. In general, the town is cozy and friendly. Of course, it's still a bit early for a beach holiday, but it is never a bad time to go to Istanbul. This picturesque city is the synergy of Asia and Europe. May is an ideal time for sightseeing tours in Istanbul, when it is already warm enough and you can easily explore the sights. And there is something to see here. And if in Kosice we advise not to follow the guide, in the case of Istanbul on the contrary - schedule a route and follow it as best as you can. 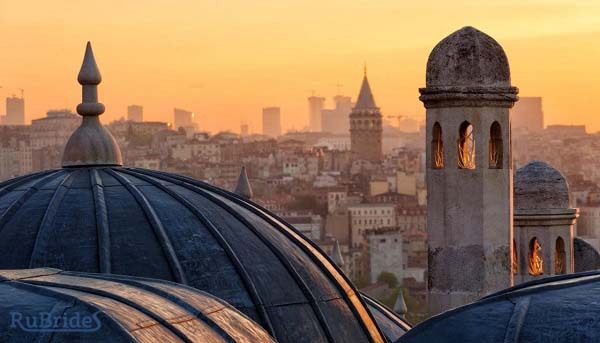 In Istanbul, every building has a historical fact to it - during its existence the city managed to be the residence for 82 Byzantine, 10 Roman emperors, as well as 30 Ottoman sultans. Be sure to visit the Cathedral of Hagia Sophia, which is considered the 8th miracle of the world, the underground reservoir Cisternu Basilica, the Suleymaniye Mosque and the Egyptian Bazaar. Well, to go to Istanbul and not to drink a cup of coffee is not realistic as well, so don’t forget to do it. 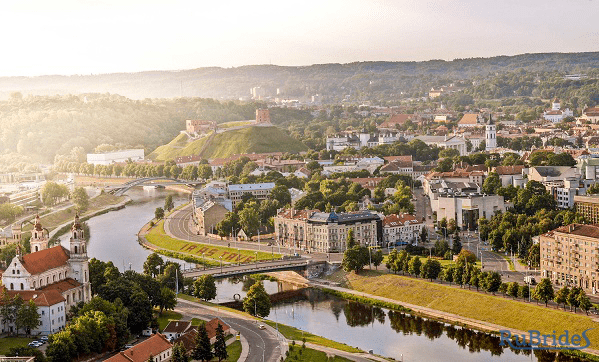 Vilnius is rightly considered one of the most beautiful cities in the Baltic and Eastern Europe. The city is vibrant, but not too active. Medieval castles, spacious squares and narrow streets, and also - lots and lots of greenery. This is an ideal place to relax in the spring. On the territory of Vilnius the river Nyari flows, which divides the city into the right and left sides. The main attractions, as expected, are concentrated in the old part of the city (left side). Walking through the Lithuanian capital will take you several centuries back in time, because here at every step are stunning historical monuments: The Palace of the Grand Dukes of Lithuania, the cathedral-basilica of Saints Stanislaus and Vladislav, the artillery bastion, the church of St. Anne, etc. Your attention will surely be grasped by the sight from the Castle Hill. For a weekend walk, Vilnius is perfect. Do you want to go somewhere else, so that not only sights but also shopping is available? Then go to Milan. Cathedral of the Duomo, Sforza Castle, Pinocchio Brera and Ambrosiana, Giardini Publci Park, a monument to Leonardo da Vinci. By the way, in Milan, namely in the refectory of the monastery of Santa Maria delle Grazie, there is an original fresco by Da Vinci "The Last Supper". To see it, you need to buy a ticket in advance. 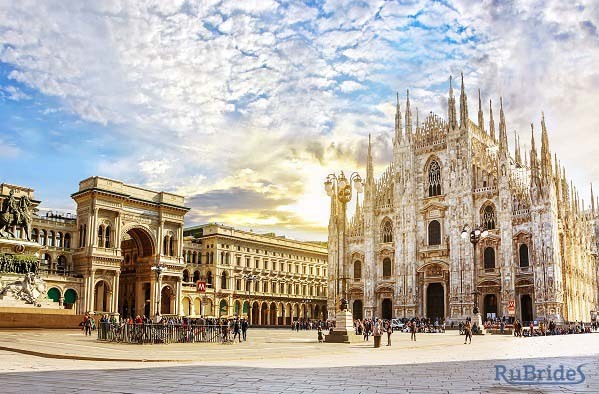 You have to connect an aesthetic admiration with ingenious architecture together with the purchase of fashionable clothing, both of these things you will be able to successfully do in the Gallery of Vittorio Emanuele II. This is the oldest passage, located in the center of the fashionable capital, called the "living room of Milan". And if you show off your new wardrobe, then you should definitely go to the famous opera house - La Scala. Of course, in this city you must definitely eat ice cream, pizza and try Italian aperitifs. Tourist routes and attractions do not seem to attract you? Then arrange a pleasant vacation by the sea. Open the beach season at one of the resorts of Cyprus - Larnaca. Even now you can already get a luxurious tan and swim in the refreshing waters of the Mediterranean. There is no bad time to visit it, yet we recommend to go during spring - this is a low season, so the prices for accommodation are much lower than in the summer. Also, if you are going on a trip with children, then swimming will be even cooler. 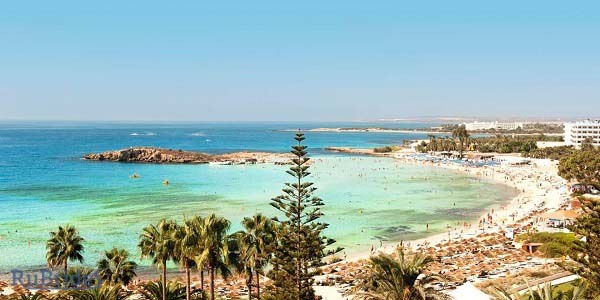 And in everything else - Cyprus is a wonderful place to relax at any time of the year. The town of Piran is located in the southern part of Slovenia. From here, it’s only 7 km to the border with Croatia, and 23 km to Italy. Piran is a must-see city for those who love Venetian architecture, to be surprised by very narrow streets, to visit the best fish restaurants. One of the main attractions of the city is the Giuseppe Tartini square, named after the Italian composer who was born in Piran. And still there are a lot of churches and cathedrals, the main one of them is the Cathedral of St. George, founded in the 14th century. You can stay here for a couple of days to feel the atmosphere of the city - almost all the hotels in Piran are in the center. 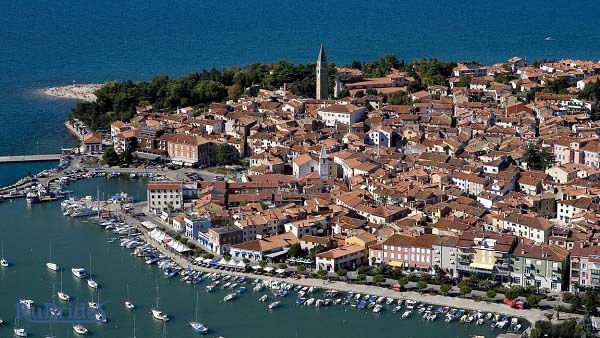 Here's another thing to know: a walk in the historical part will take 2 hours; in the city there are two official languages - Slovenian and Italian; Piran can be reached by bus from Ljubljana or by train from Izola, Koper and Portorož; From Piran Maritime Station you can reach Venice in 3 hours. It is, without a doubt, one of the most romantic places in Europe, no hesitation about it. The wine city of Germany is also one of the romantic cities in Germany. With its majestic churches of the heyday of Franconian baroque, with ancient bridges and sturdy half-timbered houses and sculptures of the past six centuries is truly one of the most romantic cities in Germany. The Museum of Local Lore (where special attention is paid to winemaking), natural history, cultural and wine tours, recreation centers such as heated outdoor swimming pool, indoor swimming pool with sauna and solarium. 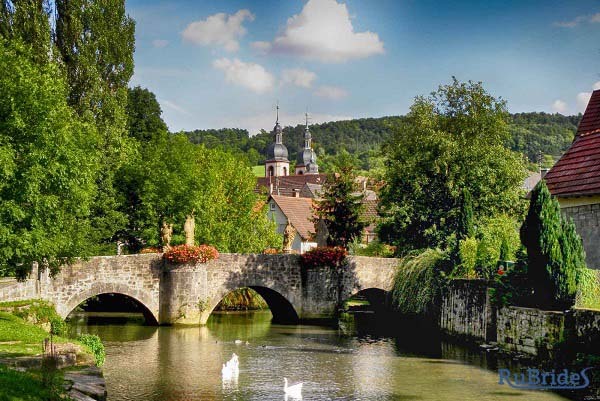 One of the top romantic cities of Europe is located on the bicycle route "The Beautiful Valley of the Tauber River", the starting and ending points of the Franconian bicycle route Main-Tauber, wonderful short and circular hiking trails and excursions in idyllic terrain await you. We will close the list with one of the most romantic cities in the US. There is no greater place for romance than Kauai. 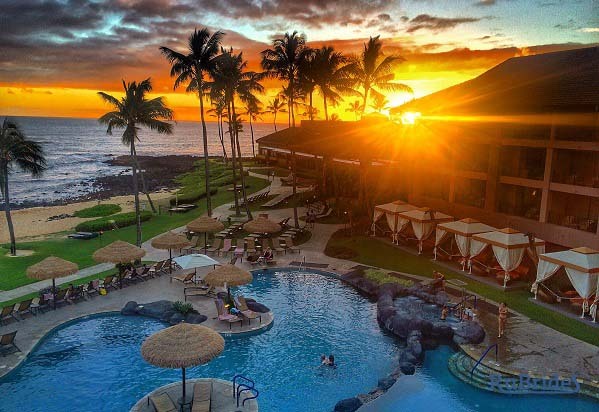 If you want to visit a paradise with many mountains, sunny sand and memorable hikes, then book a trip to Kauai. This pearl among the most romantic us cities is a green wonderland where you can fly by the waterfall of the Jurassic Park by helicopter, ride a kayak along the river or go to the wild coast of Na Pali. Note that no one will condemn you for simply relaxing with a cocktail on the beach.